The Applied Module at External Organizations (AMEO) is an 8-week internship taking place during the 2nd semester of the MSc Ecotoxicology program. Teresa and Harshada completed their AMEO at Mesocosm GmbH, a company that is specialized in higher-tier and non-standard tests. In this post, they report on their experience in conducting a macrophyte ring test. This entry was posted in Masters program and tagged AMEO, macrophyte, ring test, student blogger on September 20, 2017 by Ve. Past, Presence and Future of Environmental Risk Assessment within the EU – where are we going? 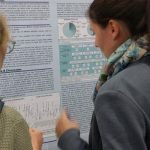 Student blogger Lara and Prof. Ralf Schäfer report from the EFSA’s Conference “Environmental risk assessment of pesticides: 25 years of scientific advancements since the adoption of Directive 91/414/EEC”. 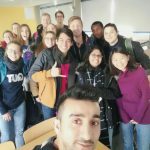 This entry was posted in Event and tagged Conference, EFSA, environmental risk assessment, Schäfer, student blogger on January 23, 2017 by Lara. 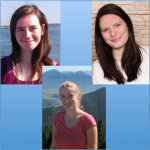 As you might know from previous posts of this blog, students of the Ecotoxicology Master’s Program spent the last summer term in internships at external organisations such as industrial companies, universities, research facilities or authorities. 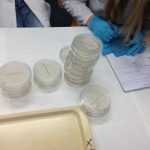 This time, student blogger Lara reports on her experience with the AMEO module at the European Food Safety Authority (EFSA) in Parma, Italy. 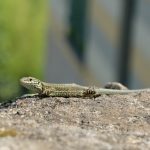 This entry was posted in Masters program and tagged AMEO, amphibian, EFSA, environmental risk assessment, student blogger on January 6, 2017 by Lara. This entry was posted in BlogTeam, Masters program and tagged student blogger on December 16, 2016 by AK. 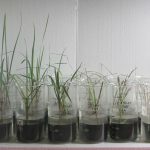 Large-scale experiments give us a more realistic idea of pesticide toxicity than single-species tests. Mesocosm studies for example simulate natural ecosystems and can include several trophic levels, which help us to detect both direct and indirect pesticide effects. However, large scale means large workload. In the scope of my master thesis I set up and performed a mesocosm experiment at the National Wildlife Research Center in Ottawa, Canada. Follow me through my 10 steps of set-up. This entry was posted in Masters program, Research and tagged environmental risk assessment, mesocosm, student blogger on December 10, 2016 by Ve. This entry was posted in Masters program and tagged AhR, AMEO, PFOS, POP, student blogger on September 30, 2016 by NK. 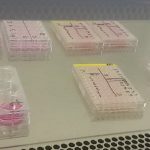 This entry was posted in Masters program and tagged AMEO, pesticide, student blogger on June 29, 2016 by Katharina Lühmann. In Nantes? Meet us at the poster corner! This entry was posted in Workshop/Meeting/Summer School and tagged SETAC, student blogger on May 24, 2016 by JPZ. Have you ever wondered how long it takes your body to get rid of your every morning’s caffeine dose? This entry was posted in Masters program and tagged student blogger, toxicology lab course on May 20, 2016 by Lara. This entry was posted in Masters program and tagged student blogger on May 17, 2016 by JPZ.